Ultrasonic flowmeter. Process temperature: 0 °C … 80 °C. Maximum flow: 21 l/min. Process connection: Clamp (DIN 11864-3) DN 10 form A.
Ultrasonic flowmeter. Process temperature: 0 °C … 80 °C. Maximum flow: 21 l/min. Process connection: 1/2″ NPT. Ultrasonic flowmeter. Process temperature: 0 °C … 80 °C. Maximum flow: 21 l/min. Process connection: G 1/2. 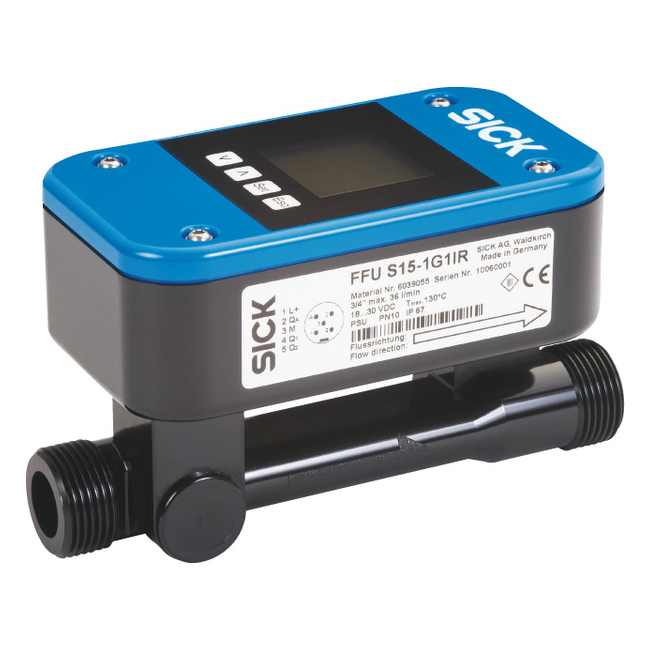 Ultrasonic flowmeter. Process temperature: 0 °C … 80 °C. Maximum flow: 36 l/min. Process connection: Clamp (DIN 11864-3) DN 15 form A.
Ultrasonic flowmeter. Process temperature: 0 °C … 80 °C. Maximum flow: 36 l/min. Process connection: G 3/4. Ultrasonic flowmeter. Process temperature: 0 °C … 80 °C. Maximum flow: 36 l/min. Process connection: 3/4″ NPT. Ultrasonic flowmeter. Process temperature: 0 °C … 80 °C. Maximum flow: 60 l/min. Process connection: Clamp (DIN 11864-3) DN 20 form A.